I knew there was only a small window of opportunity. At nine thirty yesterday morning there was sunshine. Go out there at once, I told myself. The way the weather is these days, it might be the last you see of it. Carpe diem and all that. 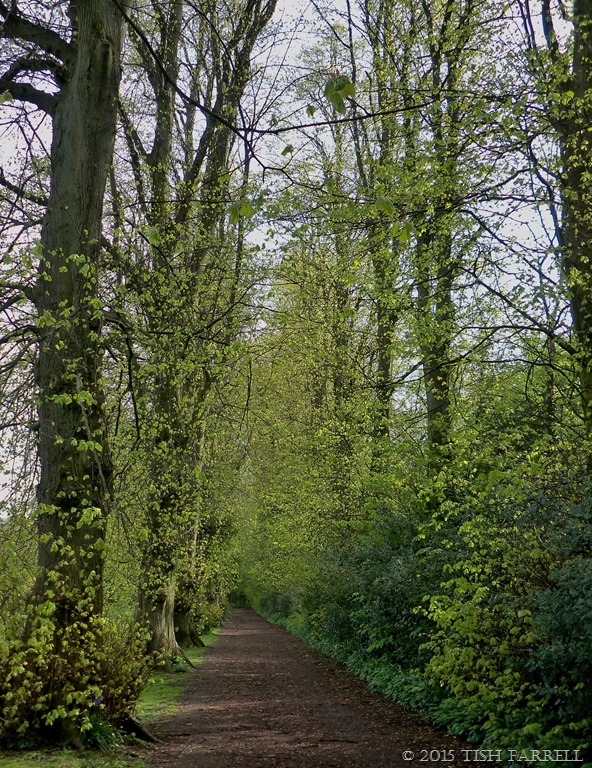 So seized it I did, and it was certainly warmer to the touch than it has been for many days, and as you can see from the above photo, the ancient, and thus arboreally wise lime trees on the Linden Walk definitely think it is spring. Drifts of green. Blissful. The dog walkers, too, were out en masse, owners chatting amiably on the Linden Field quite as if it were – well, spring. And despite Thursday’s appalling election results (Scots Nationalists excepted) and the return of a government that treats food banks as something to be proud of, and regards the nation as a resource for unbounded fracking, everyone I met seemed pretty cheerful. I will thus make no further mention of Tory attrition and spoil the moment. 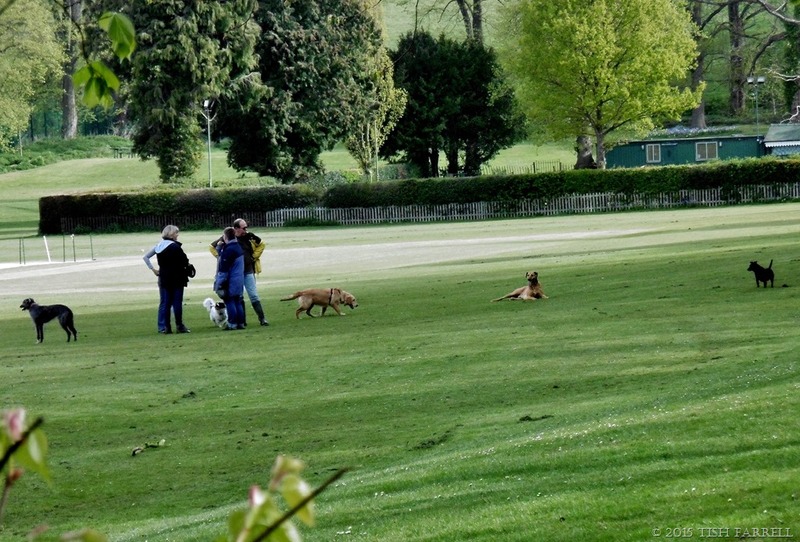 The little green building you can see in the background behind the dog walkers is Much Wenlock’s Bowling Club HQ. It occupies a re-cycled railway carriage, a relic from our erstwhile lovely railway that once ran beside the Linden Walk and, until the 1960s, when the wretched Dr. Beeching axed thousands of miles of Britain’s railways, linked Much Wenlock to the outside world. But enough! Too much negativity already. I headed off behind the Bowling Green to see what was growing on Windmill Hill. This quest was motivated by Meg at Snippetsandsnaps. In response to an earlier post here, she said she would like to see more of what happens on the old limestone pasture on which the windmill stands. I’d mentioned the wild orchids for one thing, so I thought (given our erratic climate) I’d better go and check if they were flowering yet. They weren’t. Still too early. But the first thing I spotted were the cowslips, also known in Olde Shropshire as cowslops. The richly eggy coloured clumps were growing here and there. In the past they would have grown in yellow meadowsful all around Much Wenlock. I even remember them. When I was a child, my parents would make a point of driving out from Shrewsbury where we lived, simply to visit them. We’d have picnics amongst them. 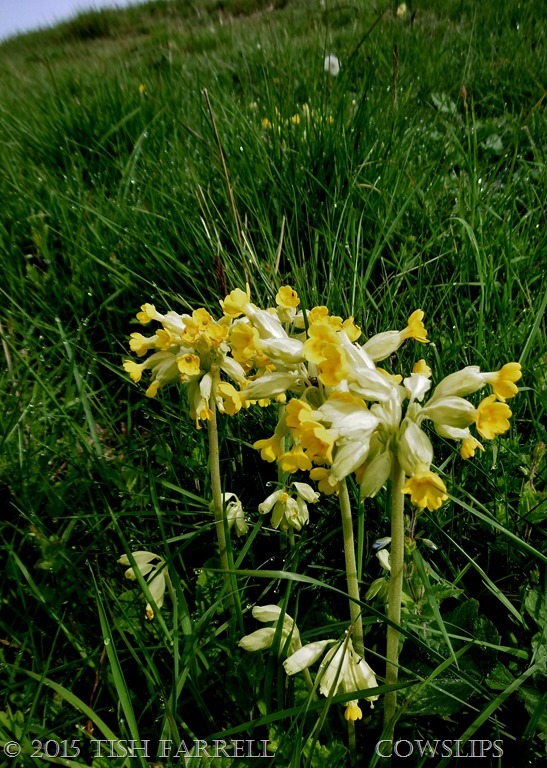 Once, too, cowslips were an important resource. In the days before modern farming methods seriously reduced their habitat, Wenlock’s school children would absent themselves from class at the National School in order to help with the annual gathering. 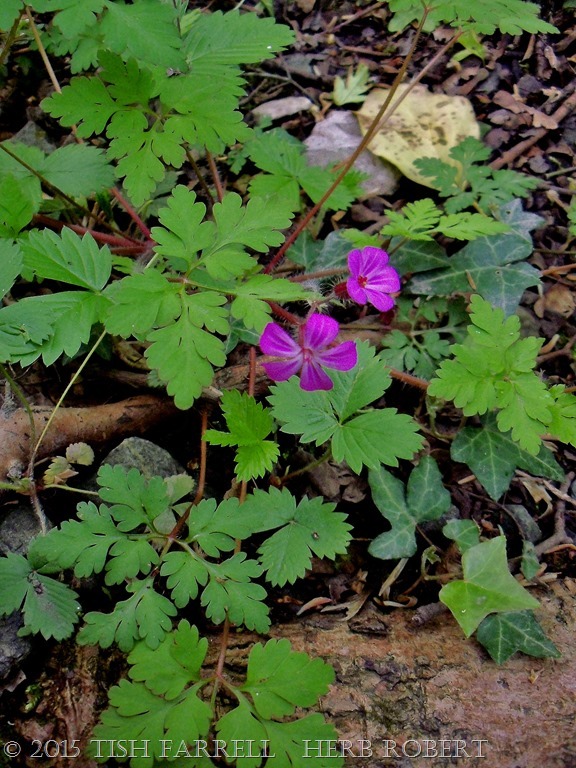 The flowers were used to make herbal infusions to combat coughs and bronchitis, and in a town regularly doused in limestone dust from the quarries, bad chests would have been a common problem. Doubtless, too, the town’s doctor, William Penny Brookes, (he who inspired the modern Olympics and planted the avenue of lime trees that we have just walked along), supported such an activity. He practised for the last fifty years of the 19th century and, as well as being a physician, he was also a highly knowledgeable herbalist, having trained both in medicine in London and herbalism at the renowned University of Padua. And this was by no means quackery in action as some are wont to call herbal medicine. After all, from where does Big Pharma get so many of its notions if not from trying to concoct synthetic (patentable) analogues of the deemed active chemicals teased from botanical compounds? All of which is to say, we lose our plant heritage at great cost to our future well being, to say nothing of the planet’s well being. Besides which, flowers can mean fun and festivities. Cowslips were also used to make wine, and to strew the paths of spring brides. Mm. Just think of the air filled with their subtle, sunny scent in times when May was WARM. 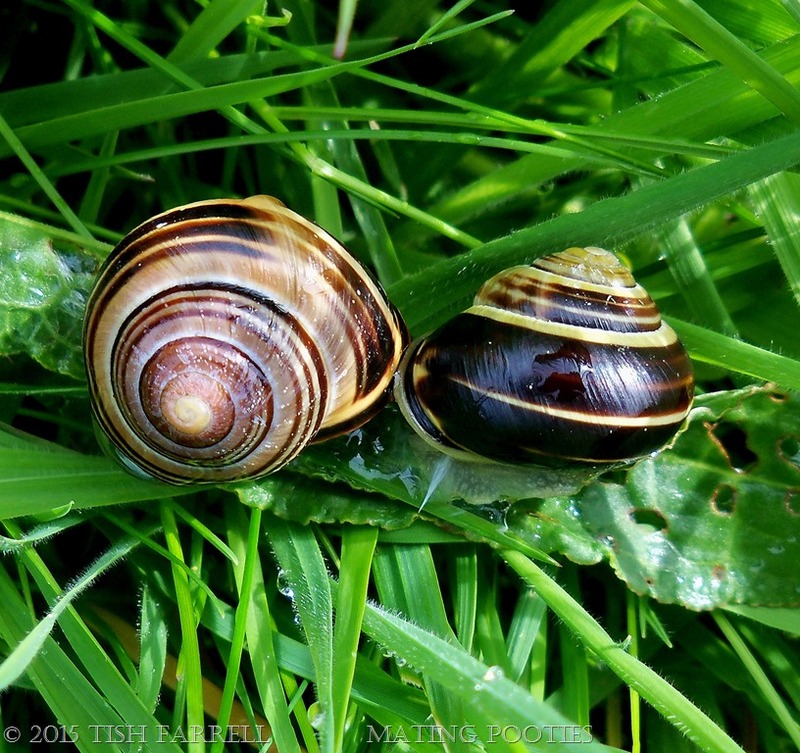 And talking of warmth and nuptial pursuits, the next thing I came across while snapping cowslips, was a pair of mating molluscs, also known Cepaea nemoralis (Linnaeus, 1758), Britain’s commonest snails. Spring has certainly made this pair frisky, but I will spare you the more intimate shots, and leave you with their rather pleasing Northamptonshire dialect name of pooties. Canoodling pooties then. Windmill Hill has more than its open, calcareous pasture. 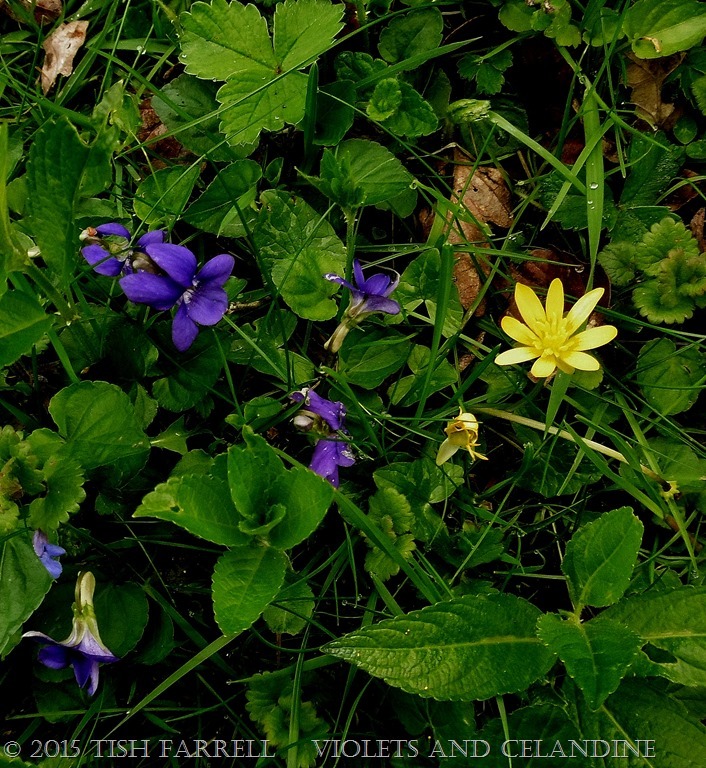 There are wooded flanks to the north and south and here, beneath the trees, I found violets and celandines. You can also see leaves of tiny wild strawberry plants (north of violets), germander speedwell (northeast of the celandine), and sprigs of Dog’s Mercury at the bottom of the shot. 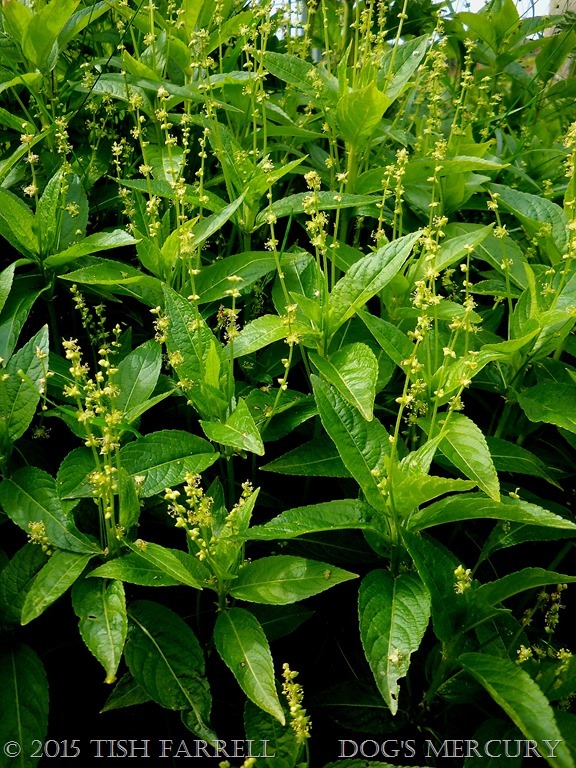 And coming up is Dog’s Mercury (Mercurialis perennis or Boggard Posy) in full flush. This unremarkable looking plant is a member of the spurge family and very toxic, a fact reported in a letter from Shropshire in 1693 and published that year in the Philosophical Transactions of the Royal Society, 203 VIII. The letter gave a detailed account of how one Mrs. Matthews had gathered, boiled and then fried the herb with bacon for her family’s supper. Two hours later there was much purging and vomiting followed by heavy sleeping. Sadly one of her children died after remaining unconscious for several days. Mr. Matthews, however, reported going to work the next day three hours late, but feeling as if “his Chin had bin all Day in the Fire.” He had therefore been forced keep his hat at his side as he worked, filled with water, so he could keep dipping his chin in it. This next plant, Arum maculatum, also has toxic characteristics. And it has a host of intriguing country names, some of them certainly alluding to what William Shakespeare referred to in Hamlet as ‘country matters’. For instance we have Lords-and-ladies, Ladies and Gentlemen (Shropshire version), Devils and Angels, Willy Lily, Cows and bulls, Red-hot-poker. 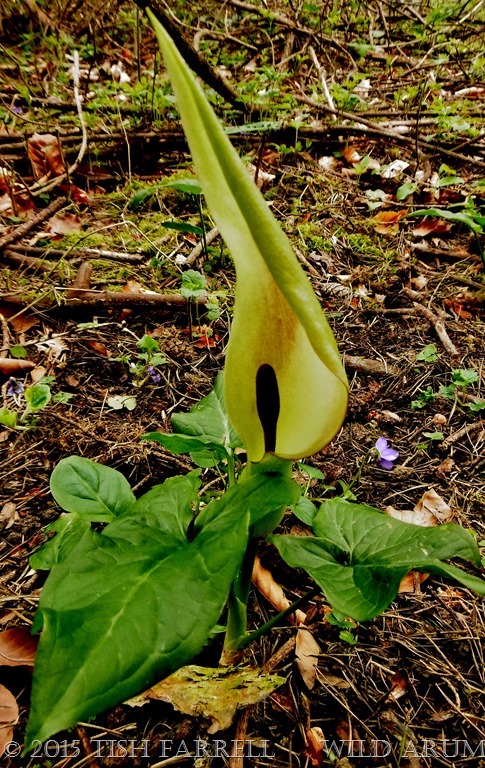 Then there are the more curious Jack in the Pulpit, Cuckoo-pint, Fairy Lamps and Shiners. Its hooded sheaths (spathes) do glow in a faintly sinister, not to say priapic fashion in the shadiest spots. When done flowering, and presumably duly fertilised, the sheath collapses in a disturbing manner. In the autumn, though, there are spires of fire-red berries that light up gloomy days. As to usage, in the times when people still wore lacy ruffs, the arum roots were crushed to make starch, although the processing apparently gave the launderers nasty blisters on their hands. It presumably did not do much for the ruff-wearers’ necks and faces either. So yes, it’s also good to remember the toxic properties of plants along with their more healthful aspects. And now for something seriously edible, if you like garlic and onions, that is. 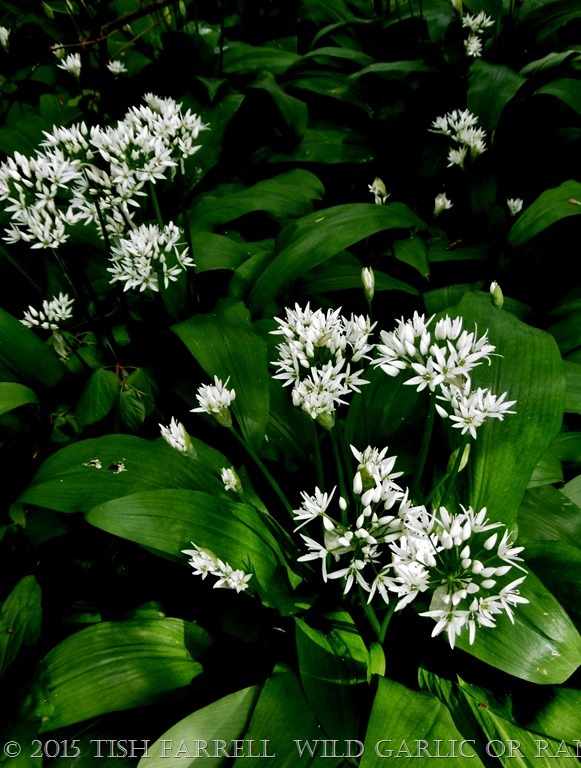 The Wild Garlic or Ransoms (Allium ursinum) grows in profusion at the foot of Windmill Hill, and especially along the banks of the old railway line. Those who don’t care for the smell will appreciate its vernacular names of Stink Bombs and Stinking Nanny. But you can certainly cook, or add to salads, both the leaves and the flowers, and their flavour is not as strong as the smell suggests. Excellent wilted in olive oil with pasta, for instance, or in soups – cream of potato and wild garlic say. This wild garlic photo was taken while the sun was still shining, and as I said at the start, I knew it wasn’t going to last. Even if I hadn’t read the Friday forecast of rain by noon, followed by more rain all day, the green woodpeckers would have warned me. As I headed down the hill and along the old railway line their cries, known as yaffling, dogged my footsteps. It’s interesting how this member of the woodpecker family likes to alert everyone to a coming downpour. In Africa it is the red-chested cuckoo that performs reliable rainbird duty. Finally, I’ll leave you with a few more shots of botanical specimens discovered round Windmill Hill and along the railway line. Clearly the natural world is busy cracking on – full of vim and vigour – even as I shiver in the cold wind, and hang on to my much layered clothing. That’s good to know though – that nature will out, even if, as time goes on, it may not quite do what we expect. This post was also inspired by Jo’s Monday Walk at restlessjo, a great venue for walkers, whether in body, mind or spirit. 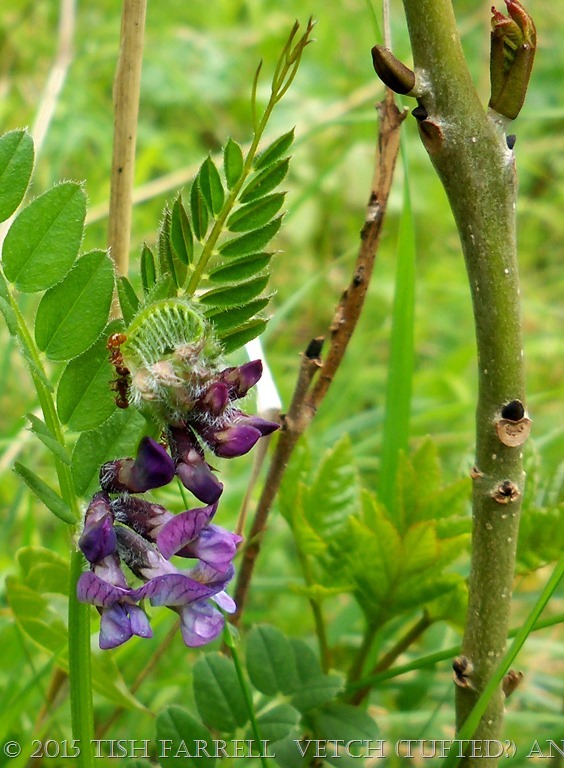 Posted on May 9, 2015 May 9, 2015 by Tish Farrell	This entry was posted in Botany, photography and tagged botany, Dr William Penny Brookes, medical herbalism, Much Wenlock, Olympic Games, Tish Farrell Writer, Wenlock Olympian Games, Windmill Hill, wplongform, WPrightnow. Bookmark the permalink. I enjoyed that walk. I’m half the sun stayed out a while! Oh but they keep trying – over a million votes countrywide. Oh, I’ll certainly go and look, Meg. There are supposed to be rare bee orchids amongst the spotted and pyramid ones, and I have never seen a bee orchid. I thoroughly enjoyed this green and pleasant walk and your plant knowledge is awesome, I’ve long since forgot most of the names i knew as a child. Oh yes, I could drink to that – more warmth. Cheers, Janet. A lovely weekend to you too. 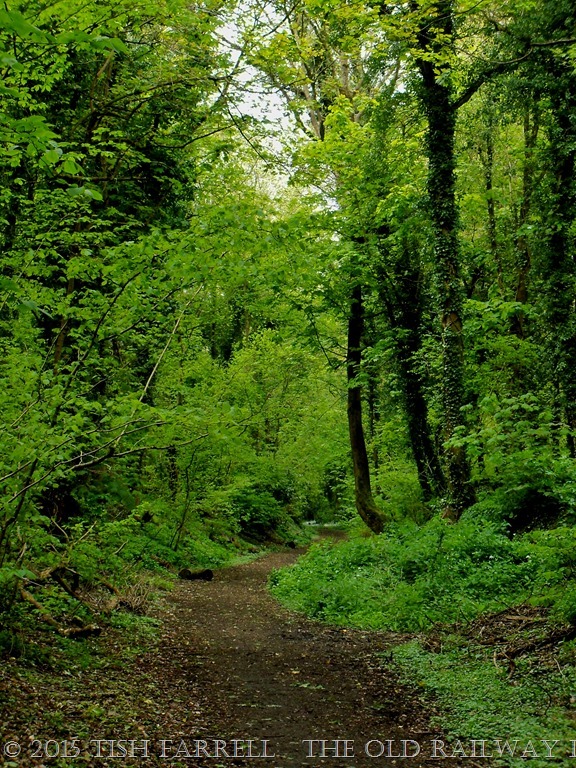 I’m homesick for cool green woods. It’s the best time, isn’t it, when all those soft green leaves unfurl, and despite all my carping about the wet and cold, even the allotment produce is growing. Thank you again for sharing your knowledge with us. This is a very informative post. These are stunning photos too. My pleasure! You are welcome, Tish. Hello, Cocoa. Thanks for coming on this walk. An inspiring and inspired work Tish. I like the way you weave politics and old herbal lore into your walk through the countryside. I hope the rain is abating a bit now. Yes, Suzanne, this morning is fine if rather grey. Hope all is well with you at your end of the globe. Loved this post. The photography is such a pleasure, And what you say about Pharma is certainly true. How good it was to learn a bit more of what the plants out there can offer us. Wonderful! Glad you enjoyed this, Shimon. I find plants fascinating, coming from a long line of gardeners. Between your photos and commentary, I feel as though I’ve been on a walk with you Tish (pity the virtual kind doesn’t burn as many calories). I’m developing a totally idealised view of Much Wenlock (think I’ve mentioned that before), which is setting the bar quite high for finding the Big T and I a new home town! Well I’m v. glad you came on that walk with me, Su. And it was indeed a good antidote to election gloom. I’m not sure who all the people were who just voted for 5 years of really stepped-up austerity, after 5 years of austerity somewhat tempered by the Lib Dems. Thatcher’s dream is coming true – the total dismantlement of the welfare state and local government. Frightening really. Historian David Starkey in his recent TV prog. on Magna Carta concluded by suggesting that we are sleeping walking to a totalitarian state. Sorry this is too gloomy. So will give you a 🙂 instead. Reblogged this on Hutts Green Planet. A delightful post Tish, full of the burgeoning of spring, despite the weather. That first shot of the dappled sunlight highlighting the fresh, new leaves of the Linden trees is so peaceful. 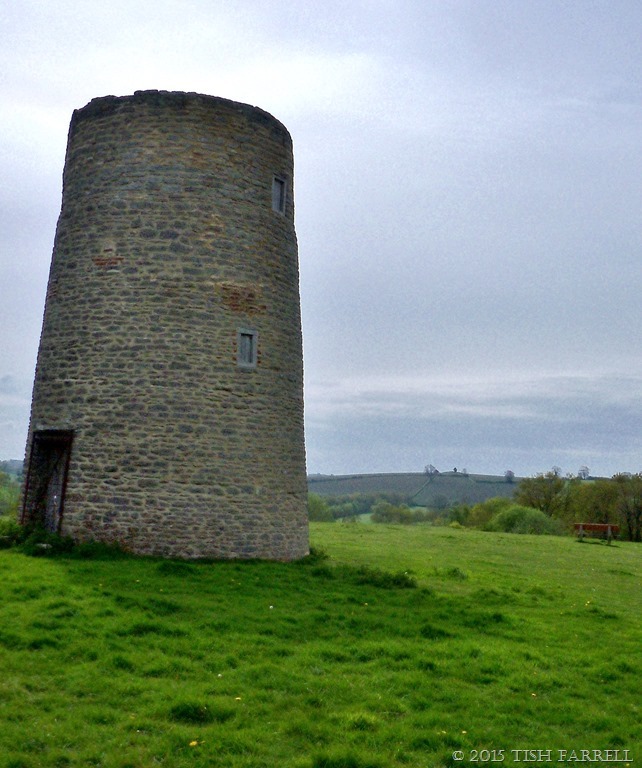 That old windmill looks like a miniature Tower of Pisa, it has a definite lean to it…What a lovely area you live in. Good to make the connection again Tish. Another fascinating post, Tish! It was so interesting to read about the plants, their country names and uses…And the photos are a great! You certainly found spring! Thank you, Prior, for all those thoughts and comments. 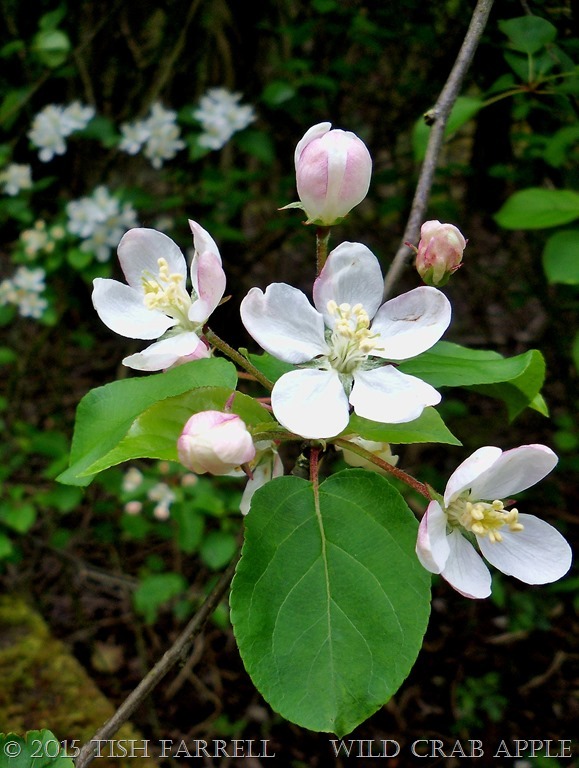 Patenting of natural plant products is a thorny ( pardon pun) issue. It seems to be allowed if producers can extract/isolate specific active chemicals from the whole plant. Or if they can make a synthetic chemical alternative. I gather this is wholly antithetical to the notion of herbal medicine, where the point is that you take small amounts of the whole herb – infused, decocted, tinctured. Of course this means the healing effects can take much longer to kick in since you are only taking very small doses. sounds like you know a lot about herbs and homeopathy. I still have so much to learn -= but last year I did learn a lot about essential oils (yeah baby) and then some cleansing herbs. and you exactly right – small amounts (or low doses) over a longer period of time is supposed to be most effective. oh and wow -t he story of the Matthews and the Dog’s Mercury is so sad! and shows you …first – how powerful and dangerous some herbs/plants can be — and second – even bacon could not help this time. Yep. Definitely steer clear of the lethal herbs. Btw. do you visit http://www.mercola.com/ He’s a great medic. Nice piece on medicinal marijuana today. Cheers. anyhow, I also like your subtle humor – like you wrote the following little note and then just moved on to the next part – but I was laughing out loud…. “Mr. Matthews, however, reported going to work the next day three hours late, but feeling as if “his Chin had bin all Day in the Fire.” He had therefore been forced keep his hat at his side as he worked, filled with water, so he could keep dipping his chin in it. “I saw a young woman beside the stove, really a girl. She was dressed in a faded cotton skirt and waist. As I came close I saw that she carried a baby in a crooked arm and the baby was nursing, its head under her waist out of the cold. The mother moved about, poking the fire, shifting the rusty lids of the stove to make a greater draft, opening the oven door; and all the time the baby was nursing, but that didn’t interfere with the mother’s work, nor with the light quick gracefulness of her movements. There was something very precise and practiced in her movements. The orange fire flicked out of the cracks in the stove and threw dancing reflections on the tent. Brilliant piece, Thank you for the intro to this story. Talk about gathering the reader into the scene, and on all fronts. I was sent here by a friend and it is my first visit. Beautiful photographs and I love your writing. Everything looks so lush. Thank for visiting, Lori. Much appreciated. You’ve been so diligent while I was away… when will I catch up with all this! These photos are so crisp and bright, the rain did them good. My favourite is the windmill structure.